Imperioso is like a chewing gum! He is so elastic and bendy! It’s a very talented horse which has never had the opportunity to show the world what a star he is. Now a days it’s not that often that it happens to me that I come across a horse which is too good to be where he is. Most of the really good horses are always with riders who appreciate their value and knows the price the horse is worth. However when I saw Imperioso I thought that he is a diamond in the rough. 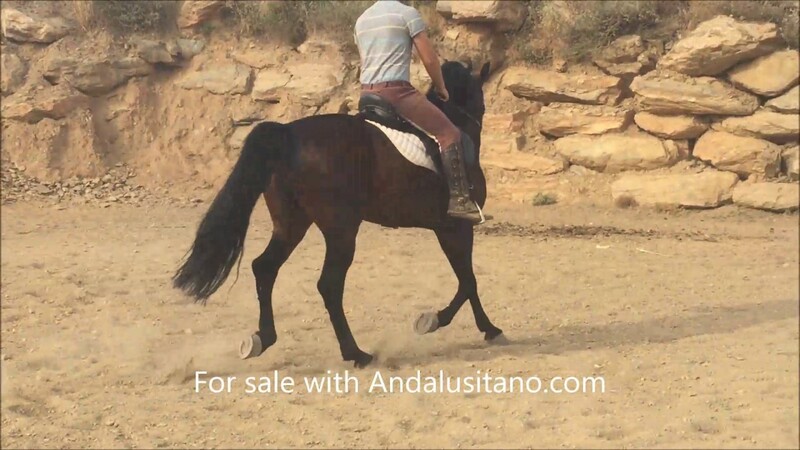 He has all that is necessary for becoming a great dressage horse, and the price is not astronomical. He has basic schooling in walk, trot and canter and has tons of energy to keep working. He is forward and doesn’t tire easily. Just the kind of work ethics you need in order to bring him on quickly. He is strong and he could take a crash course in dressage right now. He has covered mares and he lives with his mares. Still you can take him away from there and he follows you like a dog. He has SUPER CHARACTER! He has only ever had one home after the breeder and it shows that he is calm, loved and confident.